Ankhukhola homestay fishing tour is a new homestay tour in Nepal. A beautiful village in Dhading with a clean river Ankhukhola for fishing can be one of your life-time experience from Nepal. Ankhukhola homestay fishing tour starts with a cultural heritage sites tour in Kathmandu and drives to Dhading Besi or Khahare and some day hikes in there. 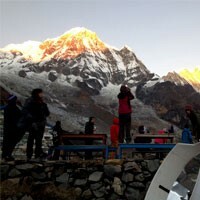 You see the beautiful mountain ranges of Manaslu, Ganesh Himal, and Langtang from some points. Hindu temples and shrines are other attractions of this tour. You can see some lowland birds around here and have fresh fish from the river which you catch. You may enjoy farming with the locals somehow. Upon your arrival in Kathmandu international airport, a representative from the company will greet you and takes to the hotel by private transport. We have a trip meeting with the company manager at the hotel. Overnight at the hotel. After our breakfast at the hotel, we leave for our full day Kathmandu sightseeing with the experienced guide and private transportation. The guide will take to four world heritage sites like Kathmandu Durbar Square,Swayambhunath, Pashupatinath, and Bauddhanath than we drive back to the hotel. Overnight at the hotel. Today We drive to homestay fishing place from Kathmandu. The first part of the driving will be on the pitch road until Dhadingbesi and after Dhadingbesi will be the rough road about 28 km. During our driving, we cross the beautiful valleys, farming terraces, forest, green hills, and much more than we reach Ganesthan. Overnight at the homestay. Day 04 : Explore around the river for fishing. After having our local breakfast at the homestay, we go to the river with the fishing net and other fishing equipment. We have some fishing and swim in the river then come back to the homestay back. overnight at the homestay. Day 05 : visit the village meet friendly proplr and fishing. We again can go fishing or enjoy farming with the farmer on their field today. After lunch, we may visit the village to meet friendly people, temples, and other sites. Overnight at the homestay. Day 06 : Trek to Chanp bhanjyang visit old palace(1030m. )3 hrs. We leave this homestay place today and crossing Ankhukhola on the suspension bridge than we trek to the Chanp Bhanjyang. The trek will take around four hours to the hill. 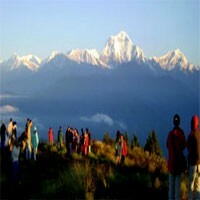 Chanp Bhanjyang is on the hill with pine forest from where we see the beautiful view of the Manaslu, Ganesh Himal, Langtang, and much more Himalayan range. Overnight at the homestay. Day 07 : Trek from Chanp bhanjyang to Dhading besi(510m. )3 hrs and drive back to Kathmandu. After the great view of the Himalaya, we have our breakfast here than trek to Dhadingbesi. The trek today is very nice and easy downhill. The trail goes through the pine forest, villages, and the cedar forest. 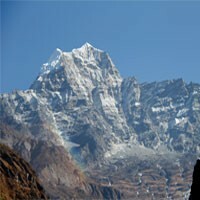 We will have a great view of the farming land and the typical villages during our trek. Once we arrive in Dhadingbesi, we stop for our lunch and drive back to Kathmandu. We will have a farewell dinner with the company this evening. Overnight at the hotel.